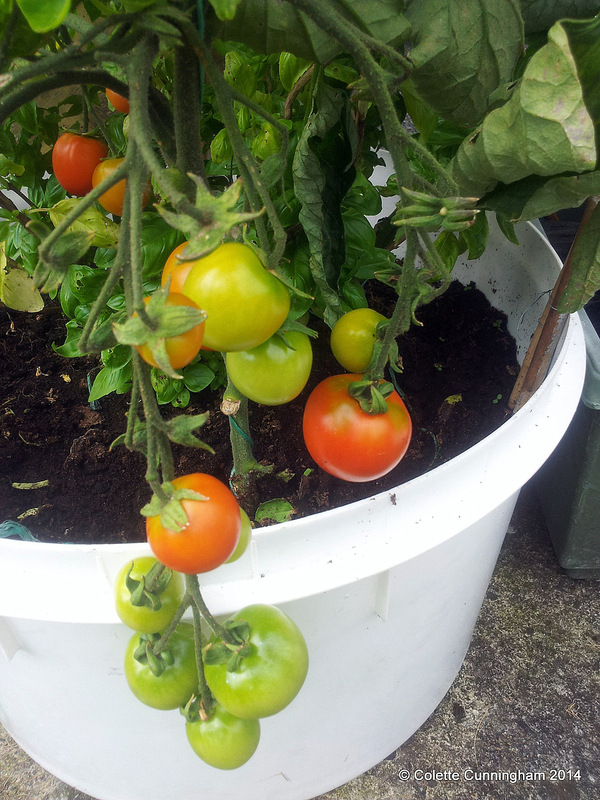 This year, we managed to grow our own tomatoes in a tub in the garden. Just a couple of trusses, and a small yield, but homegrown and full of flavour. 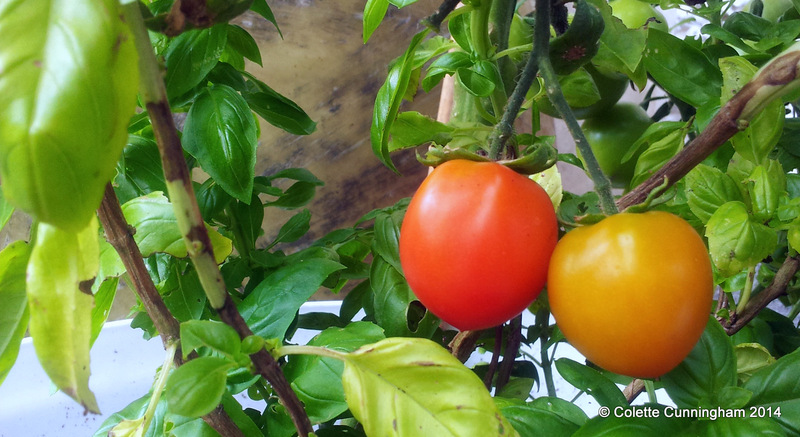 We also included a basil plant, which we bought, with the tomatoes. “What grows together, goes together” is very true. Meanwhile, there were a few tomatoes (from last week’s shopping) hanging around in the fridge. A soup was the logical solution to make the most of them. You can use olive oil if you don’t have rapeseed oil, and a Red Bell Pepper instead of a Ramiro. Cut the tomatoes into quarters, and place into a roasting pan, along with the chopped, de-seeded pepper, sliced garlic, oregano and oil. Roast in the oven for 20 minutes. Sauteé the onion with the butter and oil in a large saucepan until translucent. When the vegetables have finished roasting, add these to your saucepan, along with the stock, and bring up to a simmer for about 20 minutes. Blend the mixture with a hand-held blender, or food processor. Season to taste, and drizzle some oil over the top. The soup is now ready to serve. You can turn this into a Minestrone-style soup, by adding some broken spaghetti and fried lardons of bacon. 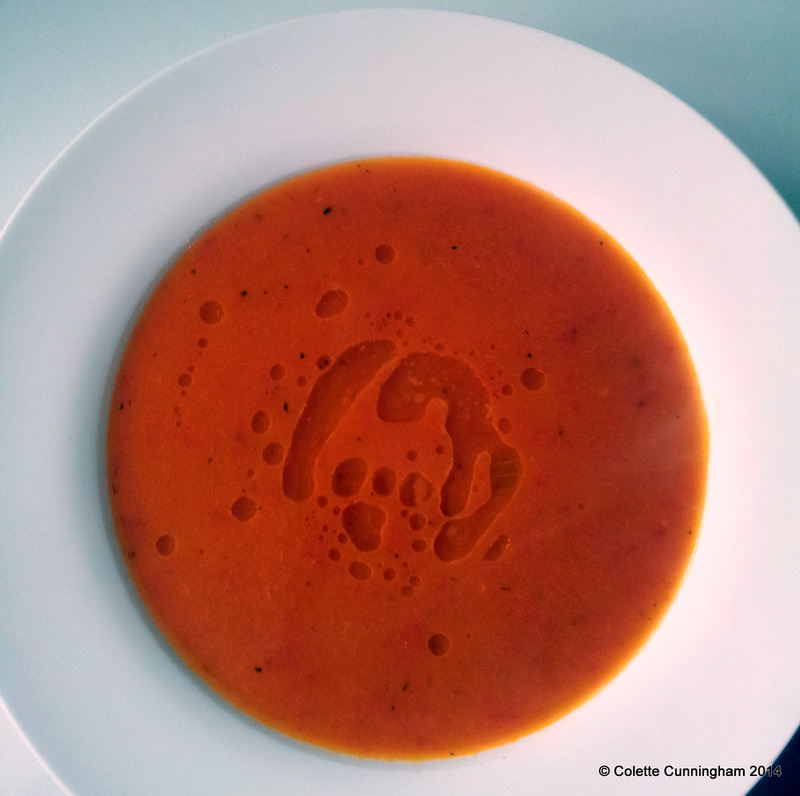 Another flavour enhancer for this, or any tomato based soup would be to add a small piece of parmesan cheese. A leftover piece is perfect. Just pop it in and let it work it’s umami magic! Next Post “Listen carefully, I shall ask this only once”! Two things I love about this post Colette. First, the idea of the home grown toms. Secondly, the shot of the soup. Delicious.